Attending preschool is a chance for children to begin to learn how to engage successfully in a group setting. 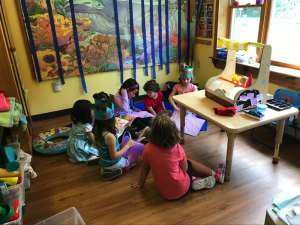 Through the activities and opportunities offered at a developmentally appropriate preschool, the goal is that each child will gain confidence and independence as their social emotional skills increase and mature. Social learning involves understanding the guidelines and approaches for getting along with others, while emotional learning is the ability to know one’s own feelings and how to manage them. In a preschool classroom where social emotional skills are a priority, one should see children who are happily engaged, are sharing and taking turns with one another, are working out conflicts (either independently or with help), and are willing to express themselves in constructive ways. These are not small objectives, but they are so important in order to be comfortable with oneself in a group of any type. These will remain relevant for a person’s entire life. How Do Effective Teachers Assist in the Growth of Social and Emotional Learning? “Helping children develop social and emotional skills is the heart and soul of any good program for young children” (Gordon & Browne 2014). What are Important Social-Emotional Skills Preschoolers Need to Develop? Social emotional learning is critical as children mature, because this area of their development will influence all other components of their future development and behavior. A quality preschool will offer children a safe and nurturing environment where they can begin to express themselves as an individual and in a group – all the while having opportunities for loving guidance and practice in developing social emotional learning. 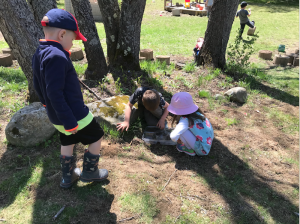 At Pejepscot Day School Preschool in Topsham, ME, we believe that all children at the preschool level have something exceptional about them. Come explore what we have to offer and learn more about our preschool curriculum here on our website.